Former IAF chief Gen. (Ret.) Ido Nechustan clarified on Saturday that Israeli planes could attack targets inside Iran if they were required to do so. “I would not belittle the capacity of the airforce,” Nechushtan said to an audience in Be’er Sheva Saturday morning, Walla reported. “Should there be an attack, it must serve the end goal and target,” Nechishtan added. 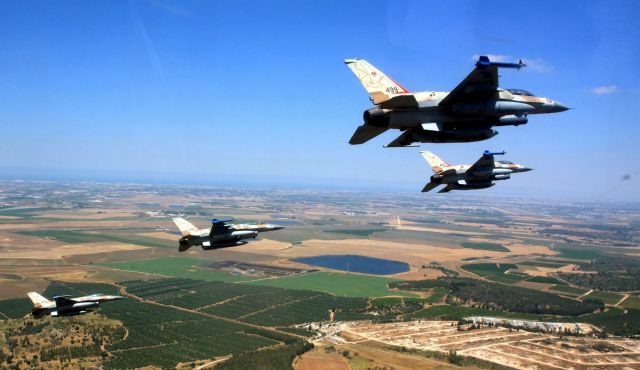 According to the former IAF chief, the military alternative is part of Israel’s available arsenal, with the end goal being a completely nuclear weapons-free Iran. In referring to the negotiations between the world powers and Iran over the latter’s nuclear program, Nechushtan said this is a process that’s bound to affect the Middle east for many years to come. Like all the official Israeli spokespersons, Nechushtan added that the sanctions against Iran must be made tougher – although the current trend clearly appears to be in favor of loosening the stranglehold the U.S. and Europe have had on Iran’s economy. “We don’t want to get to a situation where Iran already has a nuclear weapon,” he cautioned. “We used to think that the production of enriched uranium would take them a long time. But today they have a sufficient amount of enriched uranium, at 20%, and numerous centrifuges. The rule of thumb is that once all the materials and the engineering capabilities to produce a nuclear bomb are in place, it should take one year. The time left until the red line varies, depending on how one views the threat, and today Israel and the United States view the threat differently”.